Concert works by Robert Schoen include pieces for cello, clarinet, saxophone, piano, trombone, and mixed ensemble. Infinite Courage, written for concert band and dedicated to the memory of the crew of the space shuttle Columbia, has been performed by wind bands at Stanford University, California State University East Bay, William Paterson University, the Oakland Municipal Band, and the 399th Army Band (Ft. Leonard Wood, Missouri). He has also written a variety of pieces for middle school concert band and string orchestra. Infinite Courage was most recently performed on July 4th, 2014 by the Oakland Municipal Band. Written for Concert Band. Premiere performance by Edna Brewer Middle School, Oakland, California. Zack Pitt-Smith, Music Director. Written for Concert Band. Premiere performance by Stanley Middle School, Lafayette, California. 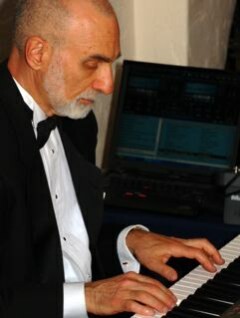 Bob Athayde, Music Director. Written for Concert Band. Premiere performance by San Jose Middle School, Novato, California. Dan Rugani, Conductor. Written for Concert Band. Premiere performance by Cincinnati Youth Concert Band, Cincinnati, Ohio. Ann Porter, Conductor and Music Director.